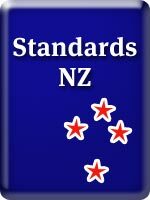 Online access to view standards on the Standards New Zealand web site. Information on why standards are developed, by whom and how. Of special interest to Cantabrians is the New Zealand Standards and Earthquake FAQs under the "news" tab. Our library subscription entitles us to online access to all New Zealand (NZS) and joint Australian & New Zealand (AS/NZS) Standards that are available in PDF format. Some Standards, although current, are not available in PDF format, and are therefore not available as part of this online service. At this time any international Standards such as ISO, IEC and BSI, are also not available as part of the Online Library service. All of these may be purchased from the Standards New Zealand website. Publication date and search relevancy.